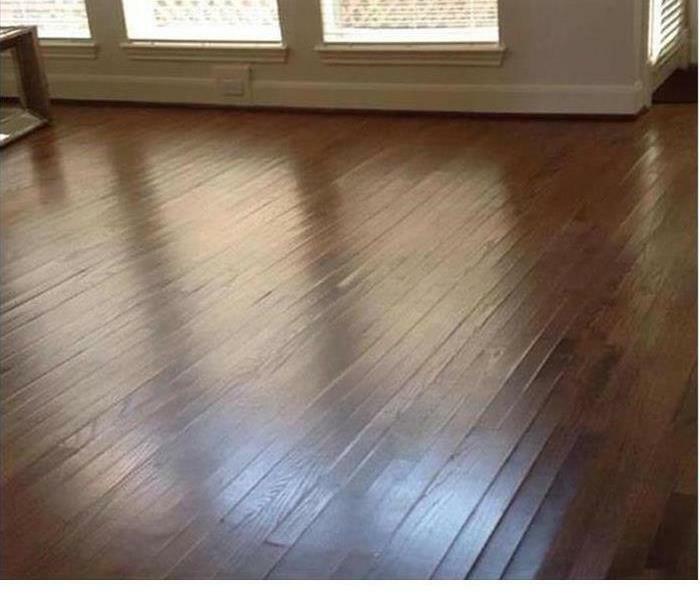 Water that has covered hardwood floors in a home. If not removed within hours or a day, results in the cupping shown in this photo will occur. SERVPRO of Lake Charles responds promptly to achieve this water extraction during the window of opportunity to mitigate harm. We're Faster To Any Size Disaster. When it comes to cleaning carpets SERVPRO of Lake Charles has a lot of experience. Cleaning your carpets will help extend the life of the carpet and give your clients the best experience with your company. 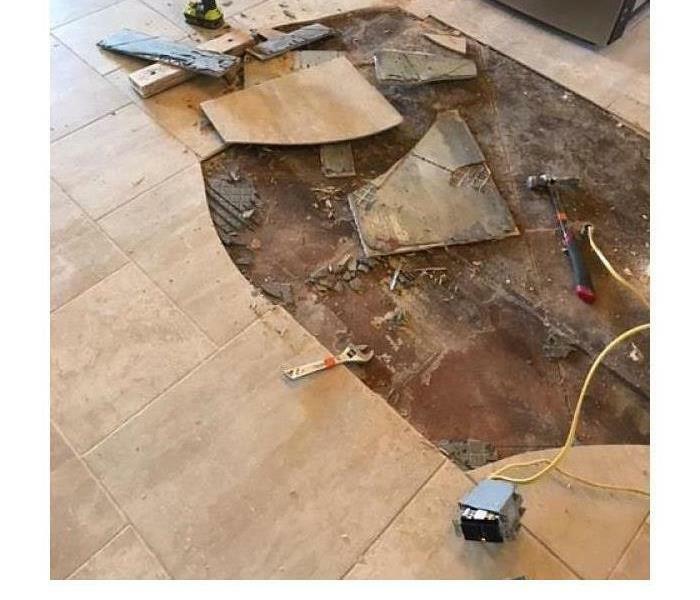 The water had sat too long causing the sub floor to get wet and warp. Quick mitigation could have saved the tile and the homeowner would not have had to make an insurance claim. This fire in a commercial building caused volumes of smoke that deposited a thick residue on all surfaces. The need for replacement of fire-damaged items was minimal. 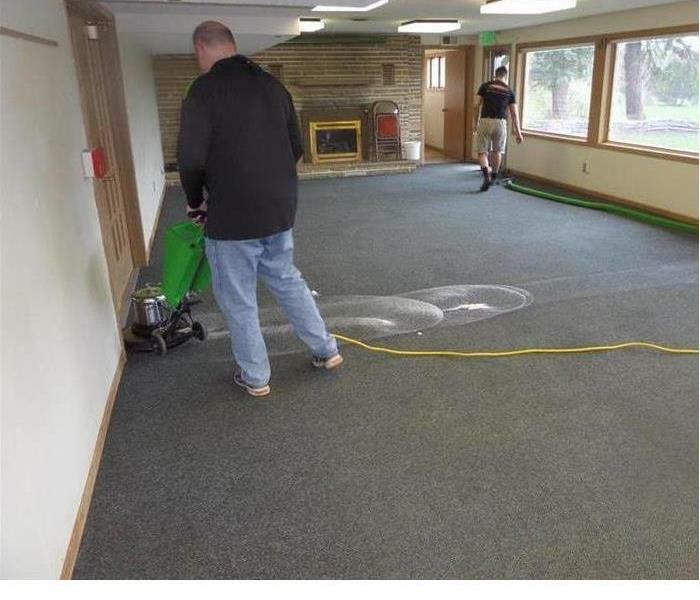 The task, which can be readily accomplished by SERVPRO of Lake Charles technicians, is to mitigate the effects of the smoke-both the staining and odor. The team here at SERVPRO of Lake Charles is very knowledgeable in carpet cleaning. We use a heated truck mount with hot water extraction. We can clean residential and commercial buildings. We can also clean restaurants after hours in order for them to not have an interruption in service. Call us today for a free estimate. Call 337-478-1133. 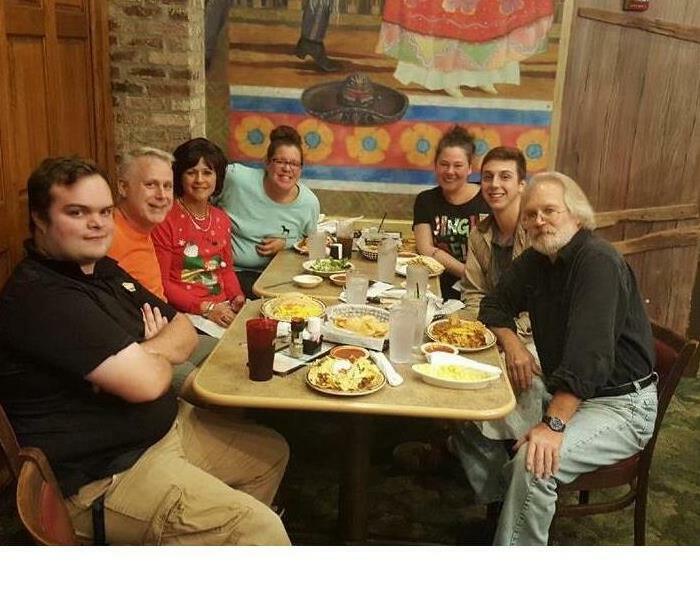 This is our team here at SERVPRO of Lake Charles. We were enjoying some much needed time away from the office. All of our team members go over and beyond the call o duty in order to meet our customers needs. Give us a call today at 337-478-1133. 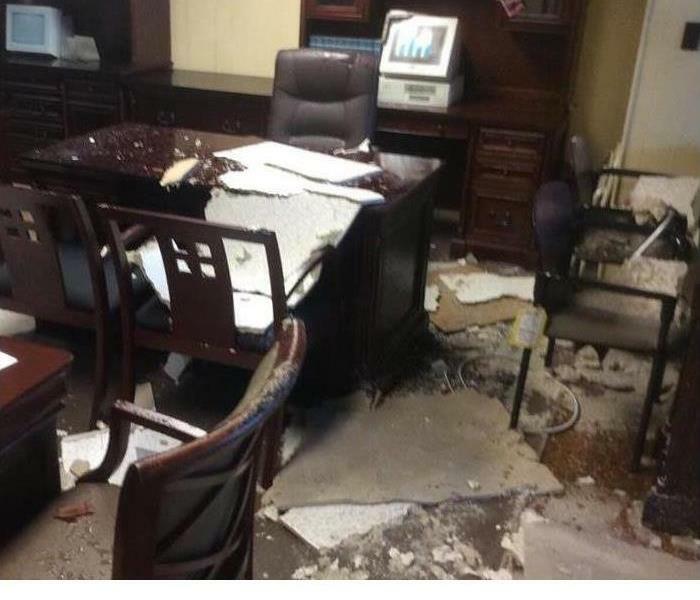 In this commercial space, water damage that came from the roof caused a lot of issues with the walls, floors and furniture. 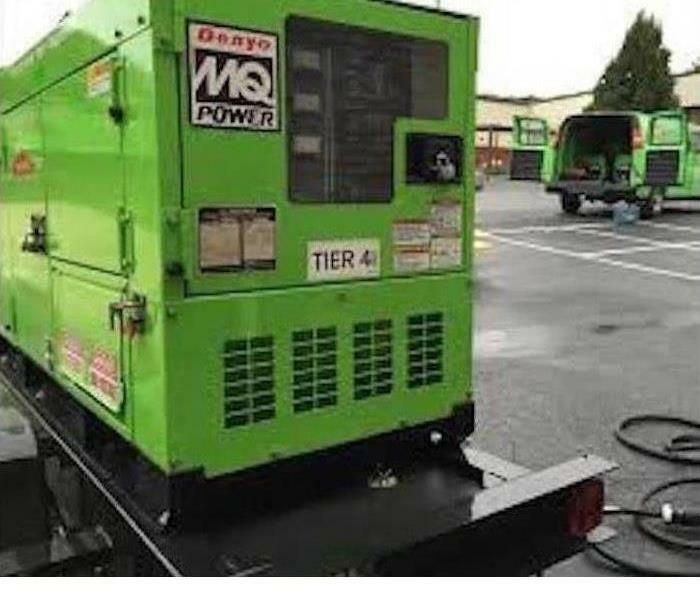 SERVPRO of Lake Charles arrived on the scene and immediately started clearing debris and evaluating the degree of moisture in the space. Our team began drying the area and monitoring it daily until it was dry. 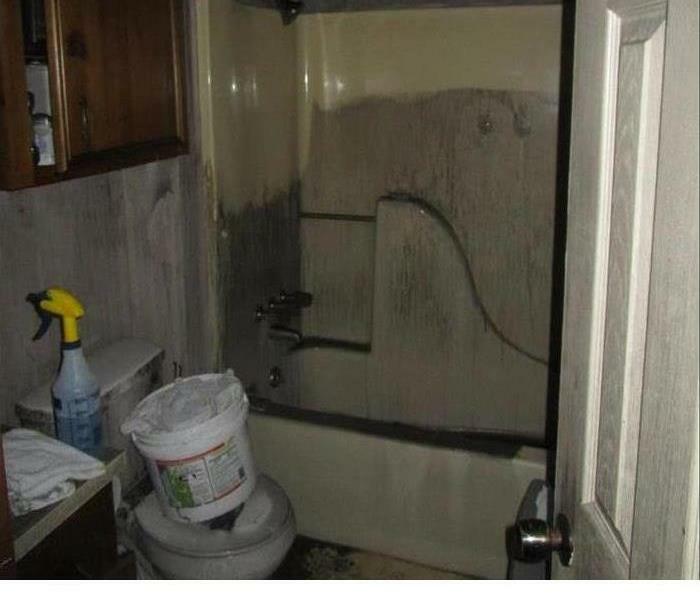 This bathroom was affected from a fire in a customer's home. SERVPRO of Lake Charles is knowledgeable in cleaning a home after a fire occurs. Our team is also ready to salvage furniture and other belongings that the customer does not want to loose such as family heirlooms. If you have questions, please give us a call today at 337-478-1133. Along with our quick response time and the use of specialty equipment like our Rescue Drying Mats. We have the ability to save REAL wood floors and cut down on replacement. Therefore saving time and money for our customers.